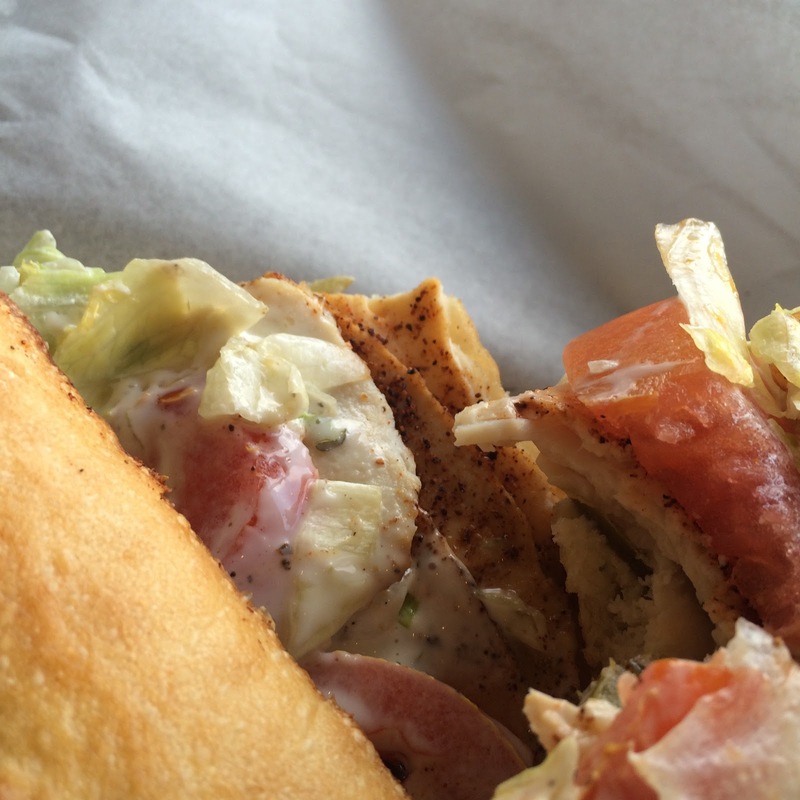 Mayo, ham, turkey, roast beef, bacon, and cheddar cheese; toasted on a baguette, topped with lettuce and tomato. Served with hot BBQ sauce for dipping. Roast beef and your choice of cheese; toasted on a buttered baguette. Served with hot au jus. Garlic mayo, jalapeños, sautéed onions, housemade black bean patty, fire seasoning, cheddar cheese; toasted on a baguette and served with hot BBQ sauce. Garlic mayo, firecracker seasoning, jalapeños, chicken, bacon, and jack cheese; toasted on a baguette, topped with lettuce, tomato and ranch dressing. Served with hot (temperature) BBQ sauce for dipping. This is a VERY LARGE sandwich and needs to be for the > $10.00 price tag at a deli sandwich place! Very good, hearty tomatoes. The garlic mayo was good. Good chicken. Tasty sandwich!!! The BBQ sauce for dipping. Nothing to write home about but it was served hot so this qualifies as a French dip platform sandwich. 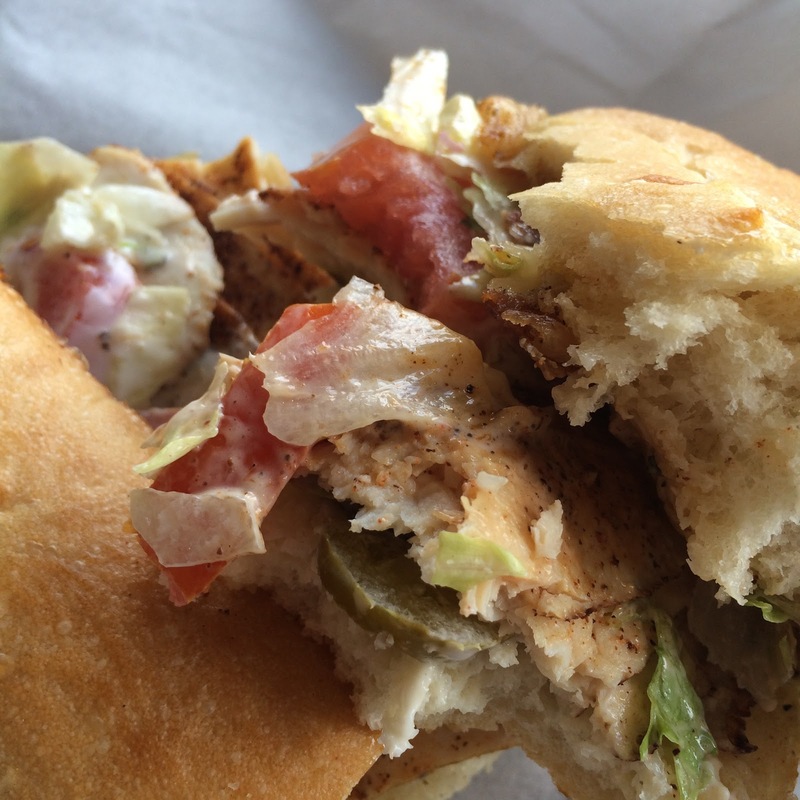 The sandwich alone was a 5 of 5 and then you dip it into BBQ sauce caliente and it is just great. So flavorful!!! Tomatoes were good and big. It was spicy with the jalepenos but not too spicy. It definitely had a garlicky flavor (which was very good in this case). There was mayo on in it and Brian thought maybe too much. -1 point for that but I'm not complaining. The overall size of the sandwich was HUGE. It had bacon, lettuce and cheese on it and was doused with some really tasty--and attractive--seasoning salt that added to the flavor. Lots of sodium here but not a complaint for an FD fan. 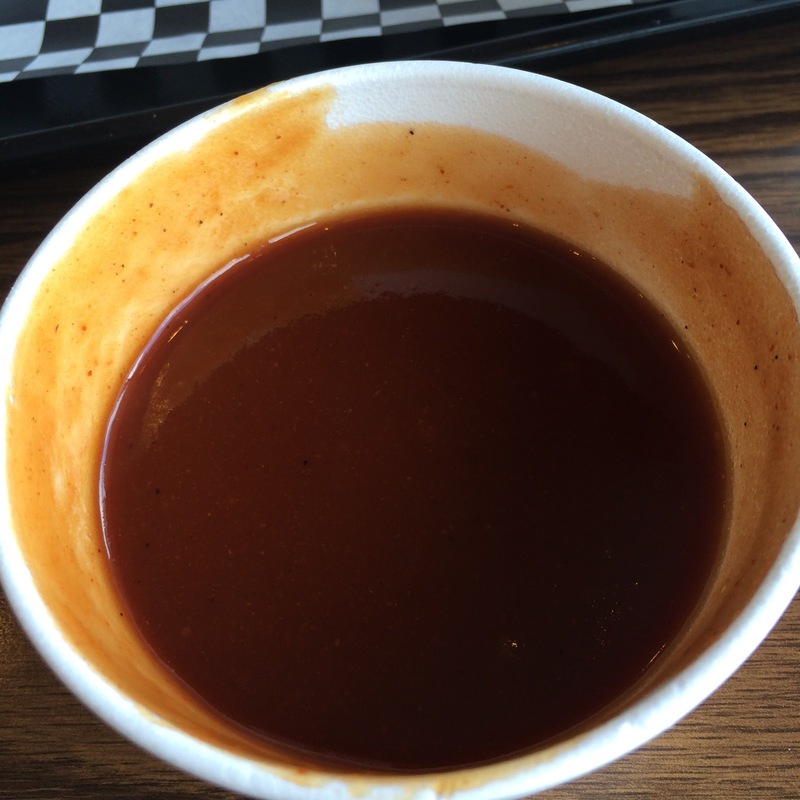 BBQ sauce was temperature hot and served in Styrofoam, so that was nice. The BBQ sauce was good and zesty. 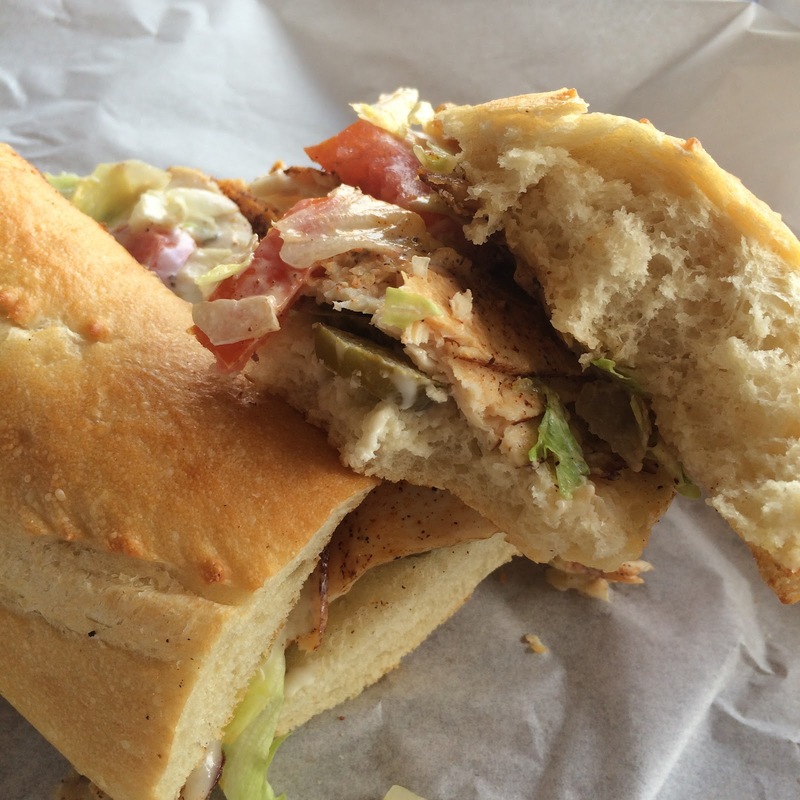 Overall: 5 -- This is a really great sandwich with or without the BBQ sauce for dipping. Jalepenos and garlic mayo make it great.